OLD PARKED CARS. : Three Jeeps Deep: 1947 Willys CJ2A Jeep. 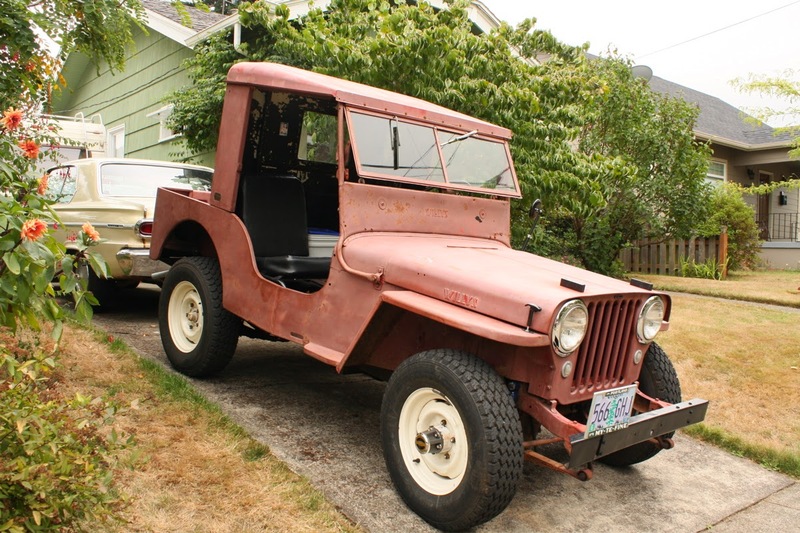 Three Jeeps Deep: 1947 Willys CJ2A Jeep. 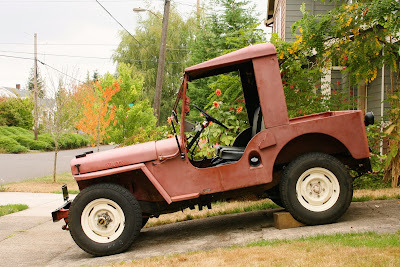 If Ben is going to post two flat-fendered "Jeeps" back to back, I'm not going to stand idly by. 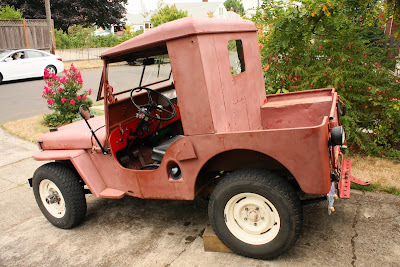 the homemade half-hardtop makes it into kind of a pickup, and i don't approve at all, but it is kind of funny. so cool, however, that none of these three rigs has been violated with the addition of a roll bar. Or diamond plate! Nothing ruins the look of a classic jeep more than diamond plate plastered all over the sides. That looks like a Koenig hardtop kit. With that option it was a perfect vehicle for plowing driveways. Oh it's funny alright. ;) It looks like a golf cart!